SpaceX launched its largest ever satellite into space on Tuesday, which marked the 50th time the company has flown a Falcon 9 rocket. Elon Musk’s SpaceX achieved a major company milestone on Tuesday with the launch of its 50th Falcon 9 since the rocket first flew in June 2010. “Falcon 9 flight 50 launches tonight, carrying Hispasat for Spain. 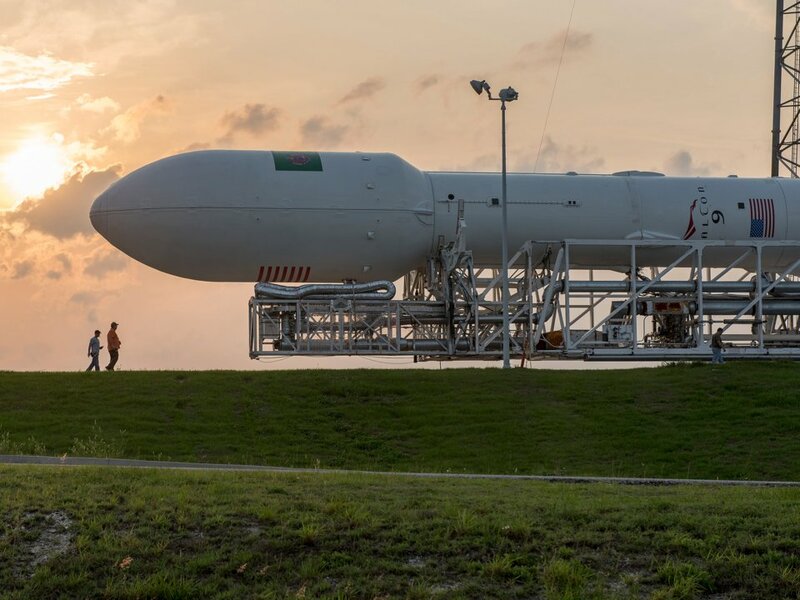 At 6 metric tons and almost the size of a city bus, it will be the largest geostationary satellite we’ve ever flown,” Musk tweeted earlier on Monday. SpaceX rocket was launched from Complex 40 at Cape Canaveral Air Force Station, Florida. About 33 minutes after launch, the rocket’s upper stage successfully deployed the Spanish communications satellite toward orbit some 22,300 miles above Earth. It will hover above the planet’s surface and provide “television, broadband, corporate networks and other telecommunications solutions,” SpaceX said in a press kit for the mission.